THERE’LL be a big fight in Las Vegas on Sunday: Manny Pacquiao, 40, defends his WBA regular welterweight crown against Adrien Broner, 29, resurgent former four-division world champion. There’s only one way the fight can go, it will be both explosive and colorful. No way, declares trainer Freddie Roach, it will be one-sided, Pacquiao all the way, he’s at least two prizefight levels way above Broner. Can’t Broner at least try and counter? No way, swears fitness and conditioning coach Justin Fortune; quickly adding three ways the fight will end: Broner quitting on his stool; the referees stopping the bout, or Broner turning his back. OK but, for the record, Roach had issued a warning about a Broner 'poison punch’ in an earlier interview with BoxingScene.com. Surprisingly, Broner has not been talking much: He said all he wants to do is take Pacquiao out in great fashion. Broner did not say it, but he has obviously prepared something special for Pacquiao. 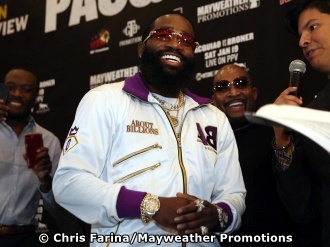 Broner could also turn toxic and spew poison in going for his seventh victory over southpaws. Roach better have an anti-dote. Broner, swearing it will be a hell, is very capable of brawling, going for a suicide.